Essential piece for any emergency/outdoor kit. 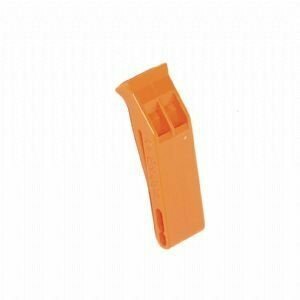 Bright orange emergency distress whistle. Produces a high decibel noise from low air input. This whistle is recommended by Solas.